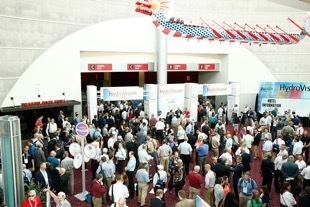 Spiral Water took part in HydroVision® International, the world’s largest hydro event. The Spiral Water team demonstrated the specific benefits of the Spiral Water Automatic Self-Cleaning Filter at the conference, which focuses on the small- and- micro hydropower industry. Many smaller hydroelectric plants are located on turbid rivers and lakes, where the filtration of cooling water for crucial bearings and seals can be challenging. We showed how our Automatic Self-Cleaning Filter can reduce downtime and labor costs, eliminating the need for manual filter changes while protecting the bearings in these often hard-to-reach turbines. 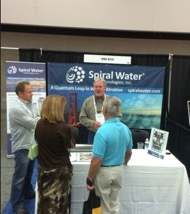 The Spiral Water team exhibited before more than 3,600 conference attendees at the Oregon Convention Center in Portland, generating valuable connections.